Nothing makes you feel quite as fierce as a freshly glossed set of digits. We may skip the blow dry and neglect our pores, but a fortnightly mani is non-negotiable. For on-point fingers you can't wait to show off, here's where to go for the best manicures in Melbourne. If jam-packed nail bars with unflattering light and questionable hygiene make you shudder, Miss Fox is the little slice of paradise for you. Head up the stairs on Little Collins St and you’ll find an urban oasis, with a full suite of beautification services on offer. The Nail Bar services are on the higher end of the price spectrum, but for the friendly and highly qualified technicians, and a menu featuring French Champagne and classic cocktails, we reckon it’s worth it. If you’re anything like us and end up with more chips than a seagull, there are plenty of options for a long-wear gel too. CBD ladies, take note. 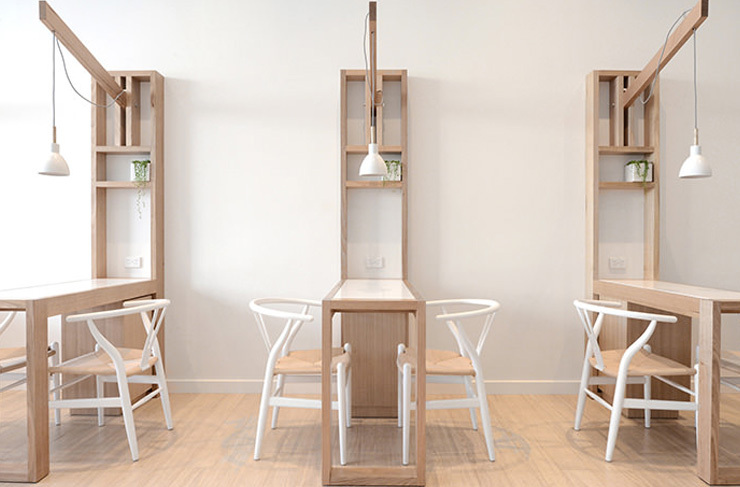 This is where you should be going for that lunchtime nail sesh. Collins Nail Boutique is inspired by successful entrepreneurial women all over the world. It's designed to cater to the busy professional, and offers the full suite of beauty services. Think SNS Healthy Nails, Spa Pedicure and Shellac, Nail Art, all types of Waxing, Eyelash Extensions and Tinting. Did we mention it's got some of the friendliest staff you'll find in the city? Lock it in. Not just a nail salon, Beautyologist in St Kilda East is home to everything you ever to want done to your body ever, and then some. This includes facials, make-up applications, laser hair removal, massage, photo rejuvenation, spray tanning, eyelash lifts and tinting, waxing, cosmetic injections, and cosmetic tattooing. In terms of their nail services, they offer manicures, clinical pedicures, foot soak and massages, and gel nails (starting from a steep $72). Boasting some of the biggest colour libraries in the whole damn city, Elizabeth Nails & Beauty are every city slicker’s go-to nail salon. They offer traditional acrylic nails, Shellac and gel colours, and mani pedis, plus you can also treat yourself to eyelash treatments, and an array of waxing and tanning services that’ll have you primed for any and every event under the sun. Prices are also some of the most competitive in the CBD with gel hands going for a tidy $25. If your budget runs more to beer than champagne but you still want to look the biz, Beauty Day Spa and Salon at Victoria University’s city campus is for you. Yes, it's a training facility, but the prices just can’t be beat. A simple mani will only set you back a tenner, while the Spa Manicure will have you cosseted for an hour, before leaving with shiny happy hands for just $20. Think of the rings you can buy to accessorise those beautiful hands with all that leftover cash. Fancy a buff and polish all for just 20 smackaroos? Not only are Downtown's prices keeping your wallet happy, their range of colours and glitters will keep your hands happy too. These experienced technicians have been giving the people of Melbourne glowing nails for just under 10 years, so they know their stuff. You can decide between the deluxe mani for just $20, shellac for $35 and a deluxe pedi for $35, because your toes need some loving too. If you’re not a fan of Shellac gel nails, try Absolutely Polished. These guys stock OPI, Jellyfit, NSI and Light Cured Polish gels. Plus a set of gel nails on your hands will only set you back $40, with a dry manicure included. Other services include acrylic nails, IBX, mani pedis, and a bunch of nail art options that are sure to provide some solid ice breakers on your next Tinder date. Sitting pretty on High Street in Armadale, Missy Lui is a breath of fresh air in the Melbourne manicure scene. Think white walls, hanging plants, blonde timber, and chairs that would look more at home in the pages of Vogue Living than your local nail bar. You get the gist. Using only the most non-toxic, natural products on the nail care market (including Zoya and Kester Black), Missy Lui is all about long-term hand and nail health, as well as the prettiest nails in town. A tiny, hole-in-the-wall nail bar in the Royal Arcade, Q&H Nails isn’t fancy, but it’s one of our favourite new beauty discoveries. The reason? Organic Gel, people. No, we hadn’t heard of it either, but now we have, we’re shouting it from the rooftops. If you’re used to Shellac or regular gel nails, organic gel is a totally different experience. Your nails are systematically glossed, then dipped into coloured powder. It gives off a matte look, but a high gloss top coat right at the end gives you that shine you’re after. There’s no damaging UV light involved; no complicated drying process. Your nails dry INSTANTLY. We’ve also been told organic gel is much easier to remove and causes far less damage to the nail. We’re freshly varnished, so we’ll have to report back in a few weeks. Often manicures and the environment don’t go hand-in-hand (get it?) but Salome salon is fighting that. Using only products of the highest quality, filled to the brim with natural goodness, they’ve created a space that leaves you feeling as good as your hands look. With nail polish, you can never get 100% chemical free, but watch these guys try. Go treat yourself to that Japanese manicure and follow it up with some chic nail art, guilt-free. Why not show your Aussie pride with a jar of Vegemite, or fly your crazy cat lady flag? If it’s statement nails you’re after, make tracks to I Scream Nails. They’re a little trickier to track down, but if you ever stumble across one of their pop-up stores (Sportsgirl and Myer are a good bet) don’t let them pass you by. Keep your all-black Melbourne uniform intact and let your hands do the talking. Also, watch out for their Nail Art Bike peddling on a street near you—the ultimate in mobile manicures. The rockstar of the Melbourne manicure scene, Chelsea Bagan is the brains and polish-wielding artist behind the crazy-popular Trophy Wife Nail Art. Starting off as a hobby, Chelsea has grown her passion for kooky and colourful nails into a legit business, with a shop front and laundry list of cool collaborations. Sure, you could go for something classic but why would you, when ice-cream cones and Paddle Pops are on offer? 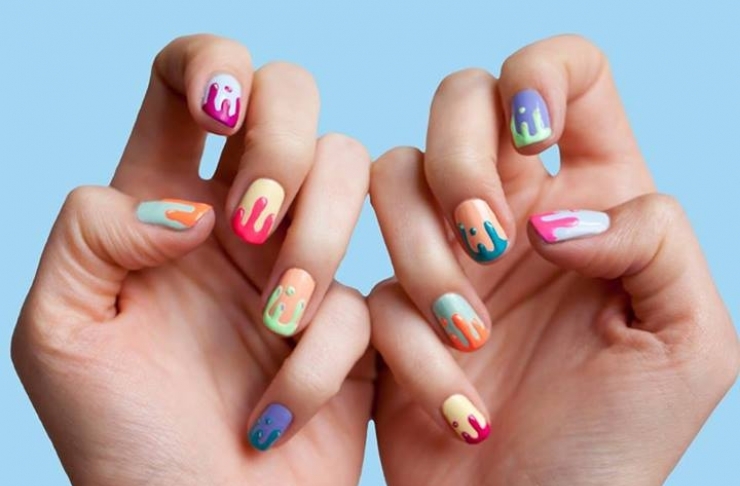 Japan Nails is all things weird, wacky and wonderful. Nothing is too "extra" here. Do you want a cute little bunny drawn on your nails or diamond gems scattered all over your cuticles? The peeps at Japan Nails have you covered. It may not be your regular mani-pedi but what you leave the salon with will bring you so much more joy. Plain matte black nails are totally last year, go get a fresh set of rainbow unicorns on the tips of your fingers instead. We dare you. You've got Melbourne's best nails. Now get the skin: here are 8 tips to nail beautiful skin in summer.